Set contains 30 pieces and a Magformers Model Booklet! 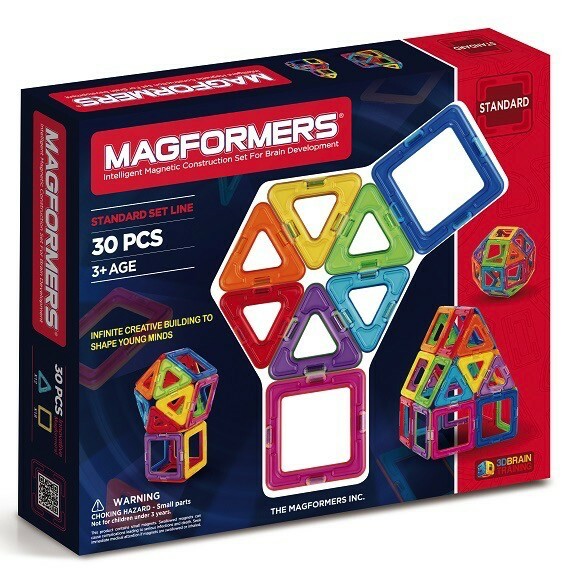 Recommended age: 3+ This Magformers set is a basic magnetic construction set that comes with basic triangles and squares. It’s an introductory set that helps develop fine motor skills in young children. Children can create simple 2D and 3D shapes.